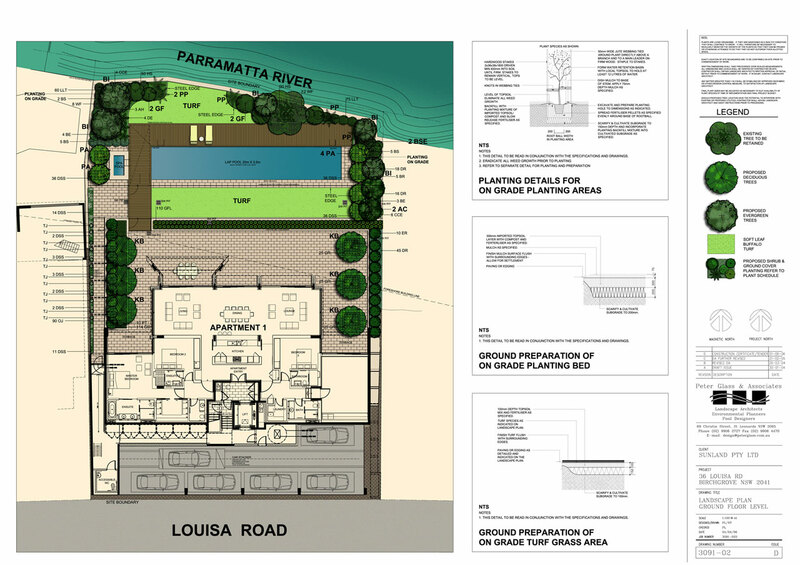 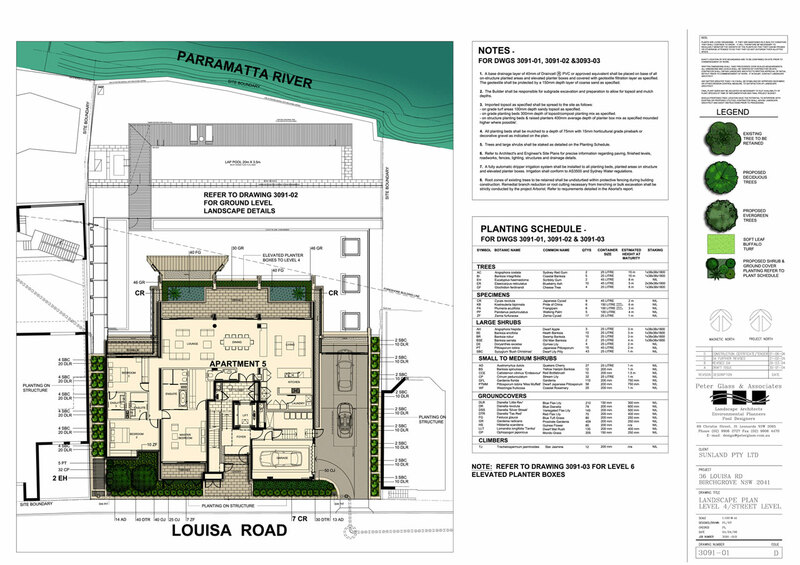 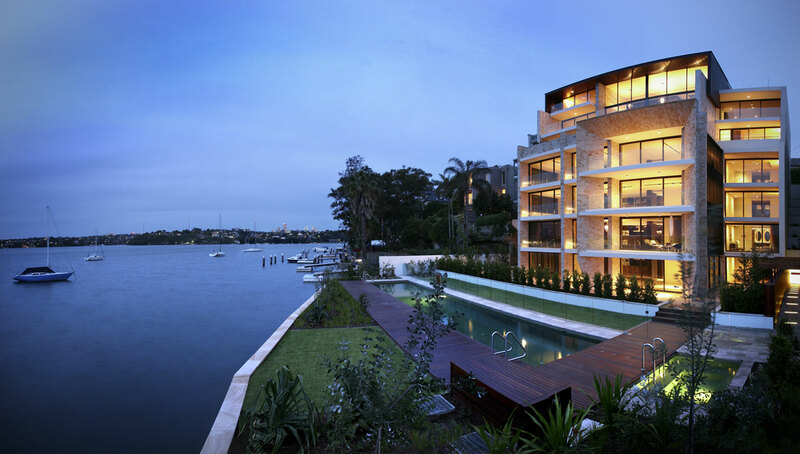 Located between exclusive Louisa Road in Birchgrove and the Parramatta River this project is a luxury waterfront penthouse development by the Sunland Group designed by SJB Architects. 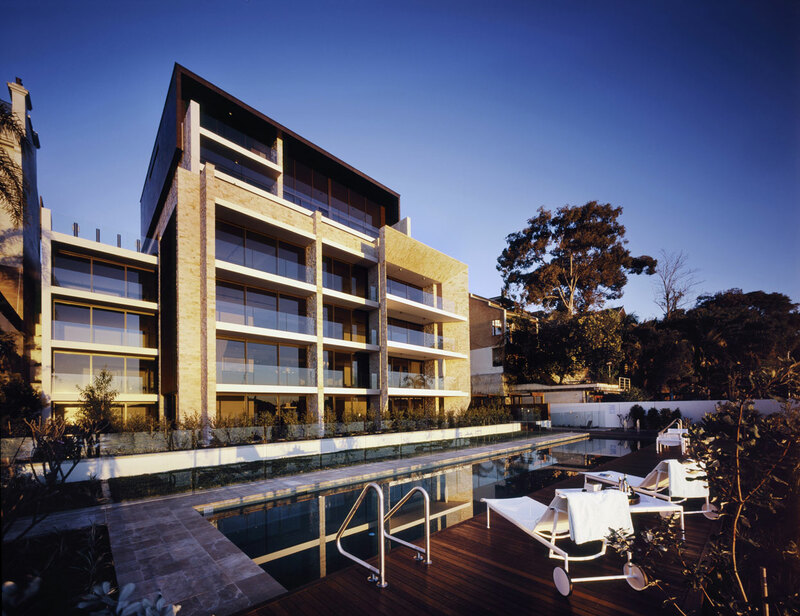 Landscape elements include expansive ground level communal and private courtyard spaces plus several levels of elevated roof terrace gardens. 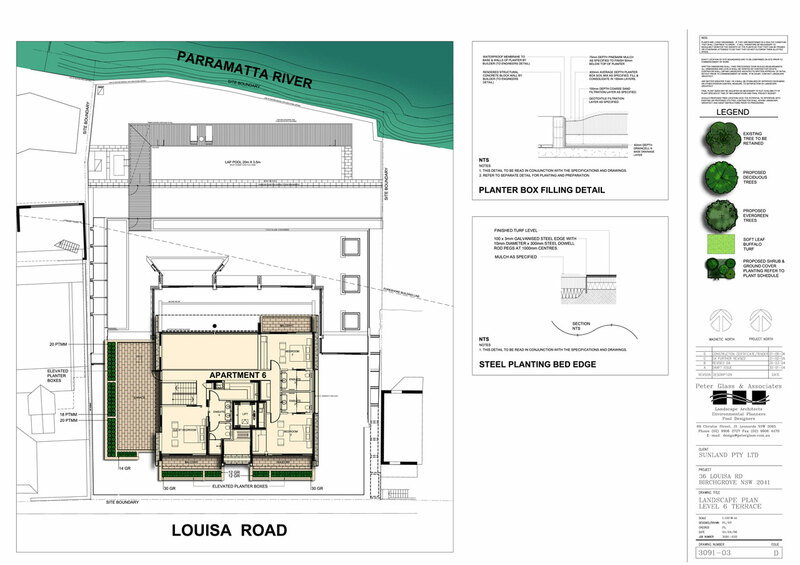 With sweeping views of the Parramatta River this project is actually a redevelopment of a 1960s Flat building that poorly addressed both the streetscape and river frontage site. 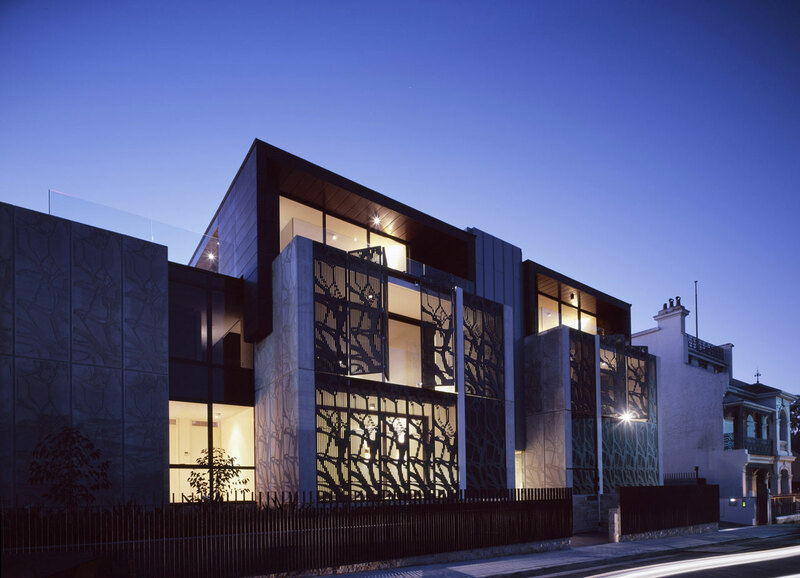 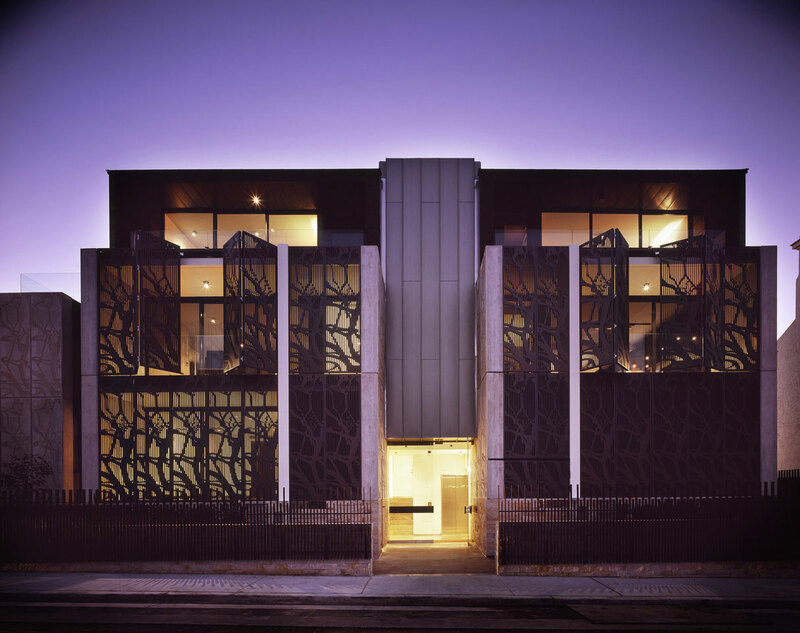 The SJB designed response features the very highest standards of contemporary architectural and urban design in a stunning building that both reconnects with the 19th Century streetscape and pays respect to the broader riverside landscape context.